Dimensions configured in the system provide customers with multiple views of an expense and revenue analysis. In SAP Business One, you may distribute the costs from 5 different dimensions and analysis costs more accuracy and comprehensive. At first, we need to apply multiple dimensions. Choose Administration > System Initialization > General Settings > Cost Accounting and click “Use Multidimensions”. 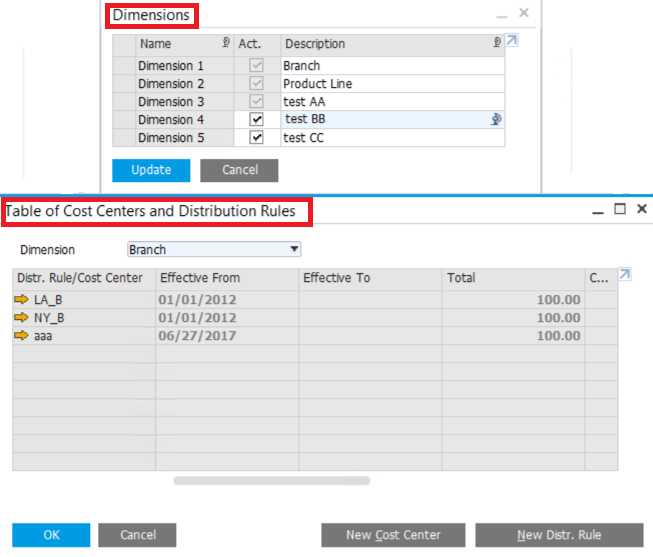 Here we may choose to display all distribution rules in a unified column or separate columns. To define the required dimensions, go to Financials > Cost Accounting > Table of Cost Centers and Distribution Rules. Then go to Financials > Cost Accounting > Dimensions to apply dimensions. 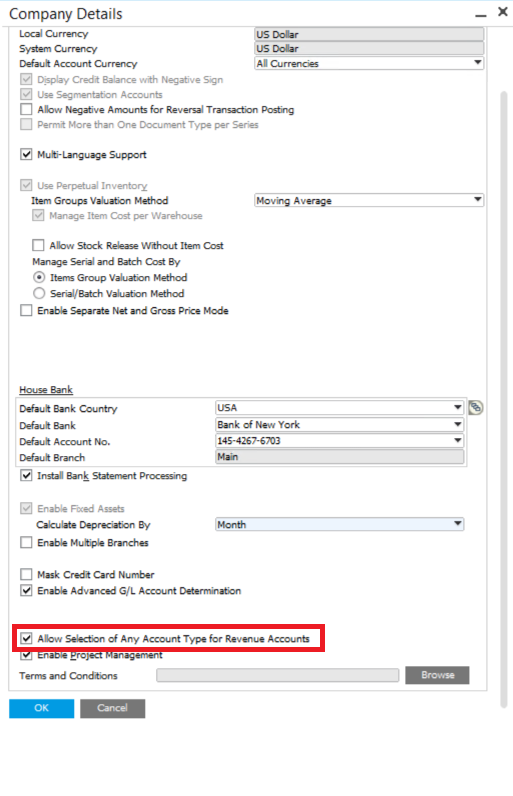 Finally, when creating documents, such as A\P Invoice, you may choose the dimensions and rules in “Distri.Rule” column.